This is old version Cortana 1.9.5.1195 apk for Android, you can install it if you want to downgrade or install old app. It is top Productivity apps from Microsoft Corporation. However, you still can use almost all features and functions of this application. You can use Cortana to set the reminder, find the information on the web quickly, and browse the important information while you are on the way. Then, Microsoft will do other improvements to complete Android version of Cortana based on the demands feedback from the users. One of some advantages of Cortana compared to the other personal assistant applications is more responsive. It can detect the voice in natural English to do the command you ask. Almost what you ask can be accomplished by this application. You can ask it to sing, tell the jokes, find information, and many more. There will appear two spinning circles while the application is thinking. You can ask everything to Cortana like talking to your friend. It will give what you need because it has function as personal assistant. 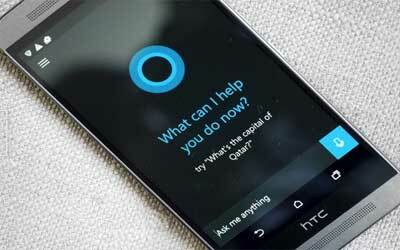 Now, you can make your life become more simple and easier with the application of Cortana for Android. Get notified and send a quick text reply from your PC if you miss a call on your phone*. Now you can add a photo to a reminder. Try “Hey Cortana, remind me to pick this up at the store” and add your photo. Cortana can remember what you tell her and recall it on demand, across all your devices.